CL: Barack Obama will be coming to India in November. What would you want him to know about this country in a young century? 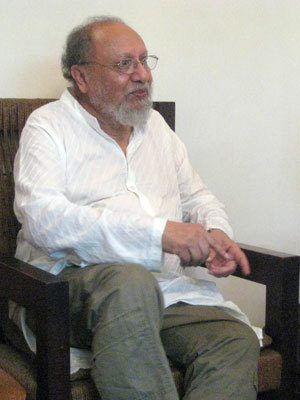 AN: I’d say he would be wise for him not to take the middle class as the be-all-and-end-all in India. The first principle is that he must take into account how the majority of Indians think about public life and global politics… Indians are looking for a more human and compassionate regime. Indians are not accustomed to impersonal government which works like a well-oiled machine, which gives them high growth rates but cannot take care of the more obscene forms of poverty and destitution. Actually, if you look at it, poverty is not a problem in India. Many sectors of Indians have lived in poverty for a long time, and their needs are very little. That is why most surveys show that most Indians are happy with their economic state though large sectors live in poverty. I think our problem is not so much poverty as destitution, what you might call absolute poverty where, if you don’t have the money you starve to death. You don’t starve to death in a tribal society for want of money. Only if the whole community doesn’t have money do you starve to death. I suspect that instead of trying to pull people above the poverty line, if we could directly attack this kind of destitution, we shall go much further. CL: How would you attack it? AN: By providing direct support to impoverished families — instead of a process of trickle-down effort where, by the time it trickles down, the bottom 10 percent will die perhaps, so you will eliminate poverty by eliminating the poor. Actually this has happened in many countries. I don’t want it to happen in India. I don’t think Obama can do anything about that, but he can at least be aware that the Indians he will be talking to are not the whole of India. They are a small minority. A compassionate society is not impossible in India. It is tacitly accepted that it would be better that way, and an open society gives you scope to fight for it. But these battles are delegitimized by new power structures that Indians are not accustomed to handling. For example India never had multi-national corporations. They never had this plethora of billionaires who bestride Indian public life now in such a flamboyant manner, pontificating about everything. Indians are not used to this kind of heavy media exposure. They have not developed the kind of skepticism that Americans have after watching television for 60 years; Indians have seen it only for 15 years or so. Their judgments are too influenced by media. The newspapers are trying to imitate television now, becoming entertainment dailies instead of newspapers. So it looks as if this is all of India: information technology; this proliferation of engineers and technical education of all kinds; the large number of Singapore-style malls you see in all Indian cities; the fashion parrots; Bollywood. These seem to be the New India, but it is not the New India. New India is those who embarrass you by scratching their backs with forks, sitting in Parliament. That’s the New India, and you don’t like to recognize them because they’re new to power, new to the urbanity to which you are accustomed. Even that embarrassment that the middle class feels about these crude, slightly rustic hillbillies coming to power — that represents something of the New India, because they’ve expanded political participation and released new energies from the bottom of the society. New kinds of political leaders will come from these people, or at least from their children. This is the price you pay for democracy and an open society. The challenge is not to close up society and hand over initiative only to the technocrats. The challenge is how to allow to allow greater political participation and listen to the voice of the people. 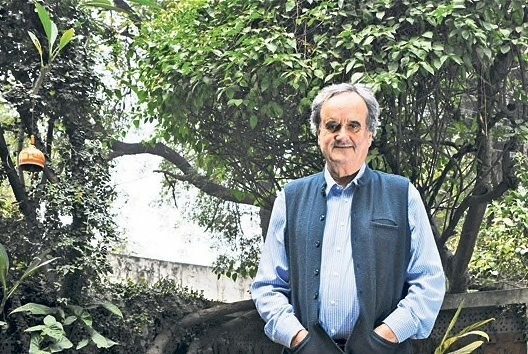 Real India: The BBC’s Mark Tully on Poverty and "Tinderwood"